Lexington, Kentucky-based Space Tango is aiming to launch an autonomous robotic orbital platform by the mid-2020s. The platform, called ST-42, is designed for scalable manufacturing in space and will leverage the unique environment of microgravity to produce high-value products across multiple industries – from patient therapeutics to advanced technology products. ST-42 is an extension of International Space Station (ISS) capabilities, and NASA‘s creation of a robust commercial marketplace in low Earth orbit (LEO). Coupling autonomous manufacturing capabilities with reduced cost and adaptability for various launch vehicle providers, ST-42 intends to be at the forefront of developing new biomedical and technology sectors in the commercial space economy. While early modules will focus on technology applications and materials production, ST-42’s initial design will incorporate features that address current good manufacturing practice (CGMP) regulations. CGMP regulations are enforced by the Food and Drug Administration (FDA) and are a critical component in the production of patient therapeutics that Space Tango intends to establish as a capability on orbit within the ST-42 platform. “This platform will create a new category of capabilities for LEO commercialization in the space economy. 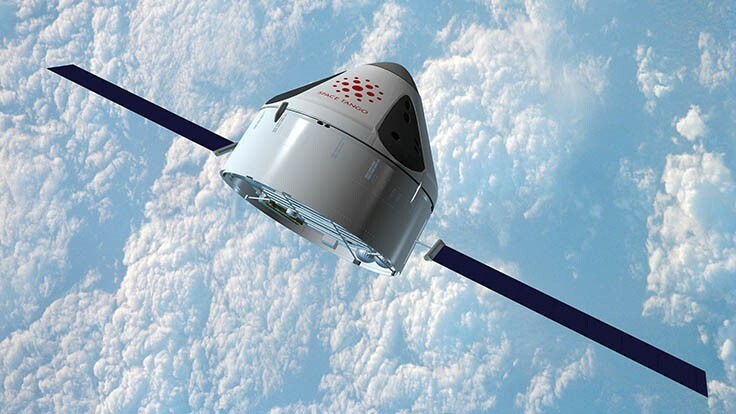 Our experienced team has crafted not only a vision for the future of manufacturing in space but procedures, partnerships, and tangible plans for executing ST-42,” says President and CEO of Space Tango, Twyman Clements. Space Tango is focused on creating a new global market 250 miles up in LEO and envisions a future where the next important breakthroughs in both healthcare and technology will occur off the planet. The company’s first venture – TangoLab – a fully-automated open-architecture system installed on ISS’s Destiny module in August 2016, allows multiple CubeLab payloads to run simultaneous and independent biomedical and technology applications on orbit. CubeLabs provide interactive payload management from Earth and downlink of images and data in near real-time from station. While reducing the development cycle and cost for research and development and pilot manufacturing, the scalable TangoLab architecture also minimizes astronaut interaction and application complexity. Estimates from Morgan Stanley predict that the revenue generated by the global space industry, which today consists mainly of satellites that leverage only one aspect of LEO, will increase to $1.1 trillion or more by 2040 – up from $350 billion in 2016. The company hopes to leverage the enormous potential of the expanding space economy and the opportunity for the creation of new markets – markets which will undoubtedly drive further commercial applications that will benefit Earth. Recognized for their expertise in microgravity design and operations, Space Tango believes that by exploring with industry and educational partners of all kinds, the current generation can improve life on Earth and inspire the next generation to continue to expand the horizon of this new frontier.